In order to dredge in waves, the Suction Pipe is suspended from special davits, which operate with heave compensation to ensure that the Drag Head nozzles stay in contact with the sea bed. 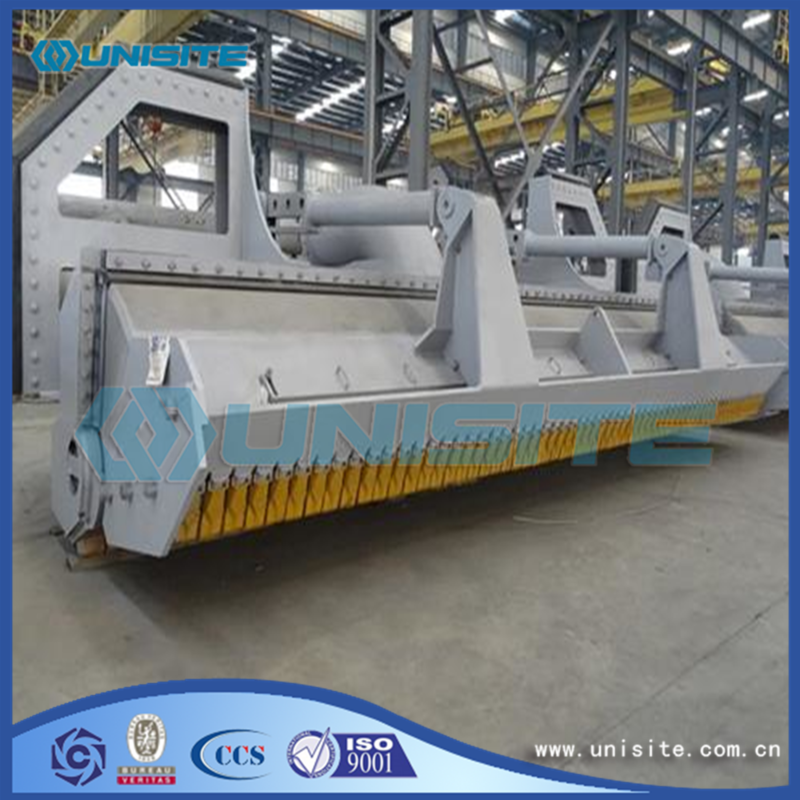 The control of mixture of water and sand is done by a so-called dredge drag head visor. The visor controls the amount of water that enters along with the sand. In some cases this visor is hydraulically controlled. Our universal drag heads offer a combination of high excavation capabilities for loosening the soil and optimized hydraulic properties for mixture transportation. High mixture concentrations are possible in many different kinds of soil. Concentrations are more stable even in more compact soils, where the water flap is blocked in an optimized position. Production can be optimized by controlling the contact force of the drag head to the ground through a swell compensator system. 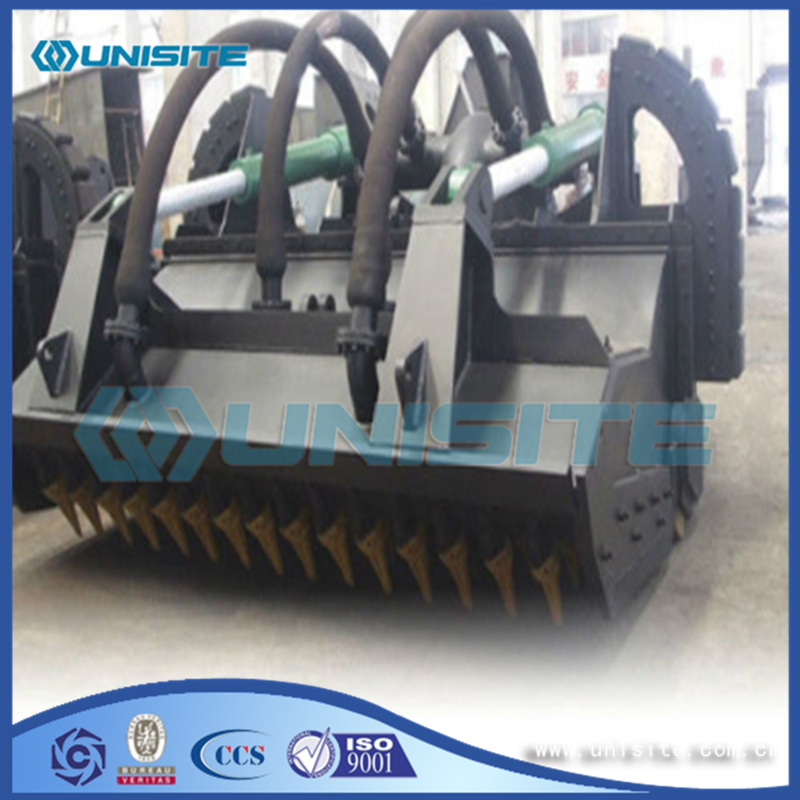 The soil to be dredged is loosened by cutting teeth at the visor and the effect of pressure water supply through special nozzles. The visor is equipped with an adjustable water flap for the supply of additional transport water when dredging in soft grounds. Our US drag heads are particularly suitable for dredging firmly-packed and strongly-binding types of soil. Due to their modular design, the US drag head can easily be converted into a drag head with a turbulence visor or a universal visor. The US visor is equipped with knives and ripping teeth to loosen compact soils. 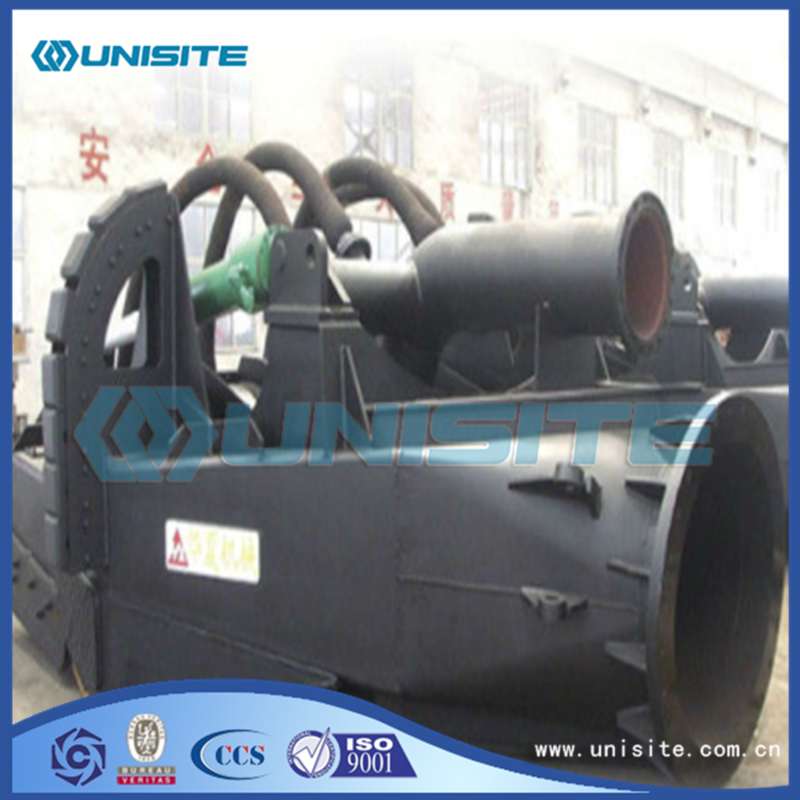 Pressure water is used for fluidization of the ground. The US visor has adjustable water inlets on top, allowing the supply of additional transport water in soft grounds. 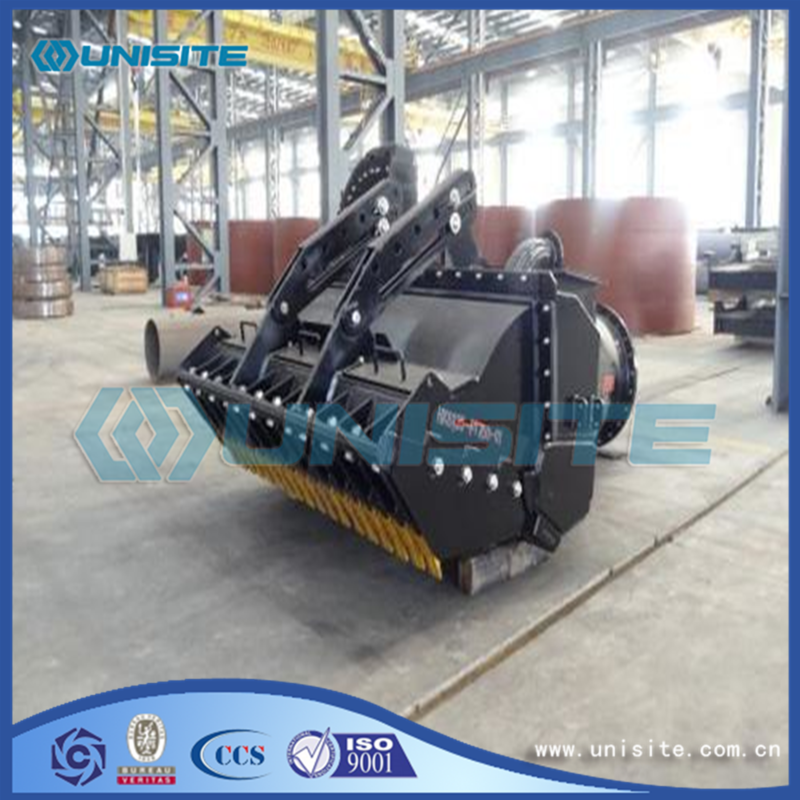 Wide drag heads are equipped with two independent visors, so that the whole suction area is in close contact to the ground even on uneven ground. The US visor is equipped with knives and ripping teeth to loosen compact soils. Pressure water is used for fluidization of the ground. The US visor has adjustable water inlets on top, allowing the supply of additional transport water in soft grounds. Our active drag heads offer the highest production rates possible, even in compact soils and at varying dredging depths. The pressure nozzles can be arranged at the visor carrier and/or at the visor itself according to customers' preferences. The hydraulic power pack can be installed on deck or as integrated part of the drag head. Various control systems are available, enabling efficient use of the active drag head. The basic version of the control system includes continuous position indicators and switches for bridge desk mounting. Advanced dredge control and automation systems automatically adjust the visor position and water flap. Visor position can be controlled, for instance, with constant position, pre-selected Grab depth or cylinder force and water flap position to suction pressure at the drag head. Looking for ideal Welded Drag Head Manufacturer & supplier ? We have a wide selection at great prices to help you get creative. All the Steel Welded Drag Heads are quality guaranteed. We are China Origin Factory of Marine Welded Drag Heads Design. If you have any question, please feel free to contact us.